21 people have received medical attention in the aftermath of the incident, but only three people were still being treated on Friday. Special divisions of the army have been drafted in to help Identify the source of the nerve agent. Just Under 200 military personnel have been deployed to Salisbury to help in the investigation into the attempted murder of an ex-Russian spy and his daughter. 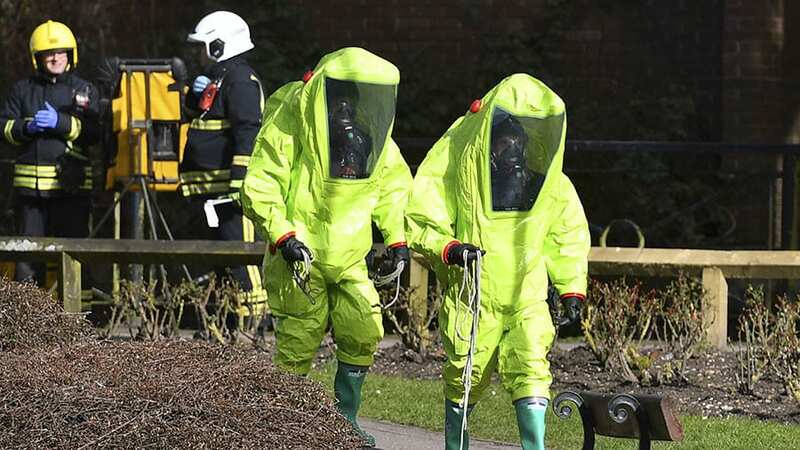 Special personnel from the Royal Air Force, British Army and Royal Navy were among those sent to Salisbury on Friday, to support the police and investigate the source of teh nerve agent. Experts however, suggest the army is at hand to conduct special investigations on the nerve agent used in the attack. Former Russian spy Sergei Skripal, 66, and his daughter Yulia, 33, were still hospitalized in “very serious condition” after being poisoned earlier this week, UK Home Secretary Amber Rudd said as she visited Salisbury on Friday. Skripal worked as a double agent for the UK intelligence agency MI6 and was jailed in Russia in 2006 for spying for Britain, having passed on the names of undercover Russian intelligence agents. In 2010, he was one of four spies released by Russia in a “spy swap” for 10 Russian agents. The pair — believed by authorities to have been deliberately targeted — were found slumped on a bench near a shopping center on Sunday afternoon. The former Russian military security colonel and his daughter remain in a critical condition at Salisbury District Hospital. Det Sgt Nick Bailey – who attended the scene on Sunday – is conscious but “very anxious” about being exposed to a nerve agent. Russian foreign minister Sergei Lavrov has denied his country’s involvement in the attempted murder of the ex-spy. Sergey Lavrov said that Russia is blamed for everything that goes wrong on the planet, and noted that no facts had been presented to suggest any Russian involvement. Lavrov added that the frenzy of finger-pointing at Russia sought “parallels” with the case of Alexander Litvinenko. However, the Russian FM pointed out that Litvinenko’s death, also blamed on Russia, hasn’t been fully investigated.